Back again with another installment of Indie Publisher Notes. 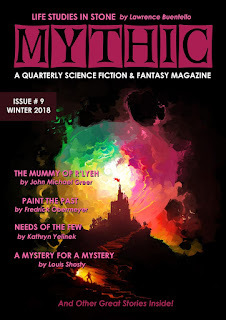 If you didn't catch it, I wanted to let everyone know that the ninth issue of MYTHIC: A Quarterly Science Fiction & Fantasy Magazine is available. Issue #9 is available in print and eBook editions. You can snag your e-copy from our Payhip store right now and look at some of our other offerings while you're there. It's also on Amazon in print and eBook editions. On the heels of this release, I've already put together Issue #10, the Spring 2019 issue, and have found a great selection of stories by talented writers. This one will likely be published late next month. I've managed to get caught up, finally! I'm already collecting stories for Issue #11 which will release in the summer. 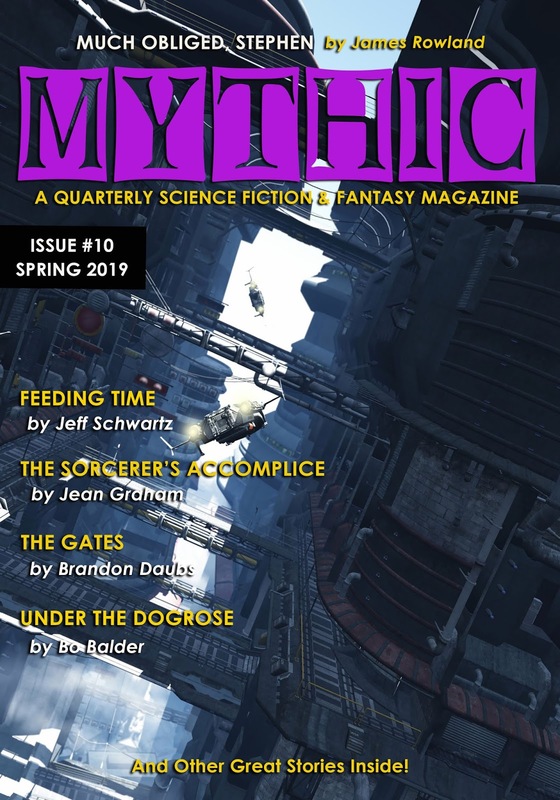 In the midst of all this editor/publisher activity with MYTHIC, the magazine and I were mentioned in a recent blog post from author John Michael Greer. He has two blogs, actually. His post, titled "Dinosaurs and Mammals in Publishing," is actually a great write up of one dichotomy in the publishing industry right now. Mr. Greer has my eternal thanks for his support and his partnership. He remains the most frequently published author released by Founders House Publishing and I always count my lucky stars that I get the chance to work with him. Yet, there are so many other writers to thank for their contributions to MYTHIC and to the books I've published through Founders House. I am grateful to work with each and every one of you. MYTHIC continues to grow and I'm always looking for ways to promote it and connect with a broader and bigger readership. My two priorities for the magazine remain to 1.) provide professional level compensation; and 2) build our foundation of readership and subscribers. One of the benefits of Greer's post was that I added returning/new subscribers and patrons this month. The work continues though. When you get subscribers you have to find ways to keep them. Sometimes, they just fall off because they don't realize their subscription is over. I am always trying to reconnect or reengage with subscribers to see if they would like to come back aboard. Stay tuned for next week's Indie Publisher Notes. Thanks for reading.